Throughout Europe the year 2013 has seen a big increase in equestrian leisure activities especially in the highly exacting and skilful area of dressage. As a result Leisure Controls International Limited [LCI] has experienced a big increase in sales and enquiries of coin, token and card operated timers suitable for controlling lighting used on ménages, horse yards and arenas. LCI's Distributors in Spain and The Netherlands both report seeing growing business with LCI's LT timer range which incorporates many user friendly features, two in particular being of great interest to the equestrian industry, firstly the flexible timing range covering any period between 1 second and 99 hours 59 minutes and secondly the pre-end warning facility which ensures that horse and rider are not suddenly plunged into total darkness. Chris Yard, LCI's Technical Manager, commented that the interest shown by the equestrian business in LCI's LT meter range is one more example of LCI's broad range of timer and meter products being able to satisfy the diverse requirements of a large number of industries. 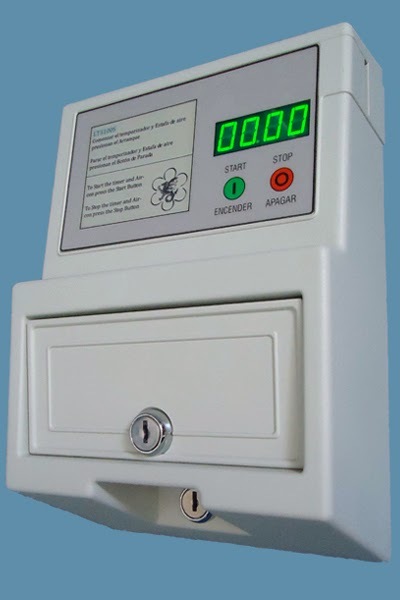 Leisure Controls International is UK's leading manufacturer of coin, card and token operated meters as well as controlling systems for sunbeds.